Another beautiful stitch for blanket lovers. Look there will be paradise with this blanket in your bedroom or living room. 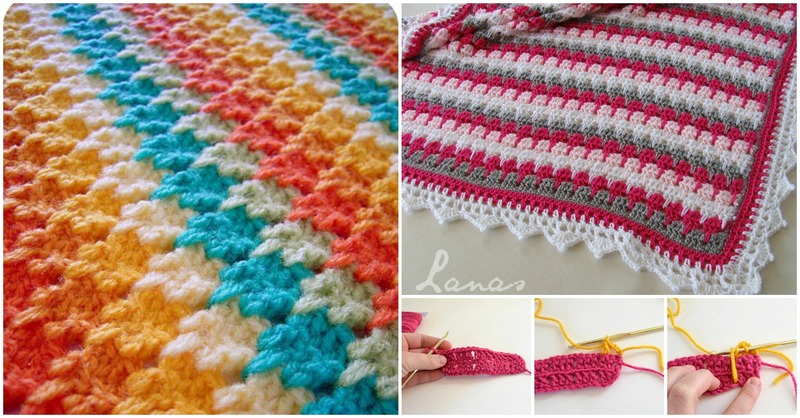 at the pictures there are Larksfoot Blanket in two designs and both are very lovely and awesome, so you can feel free to crochet in any colors. We think you can also crochet hats, scarves and other accessories with this stitch, so you should try and learn this stitch even if you not going to start crocheting your next project now. Experience will be useful always. Thanks to authors of pictures and also author of video tutorial where is everything explained clearly and step by step. We hope you will understand everything easily.